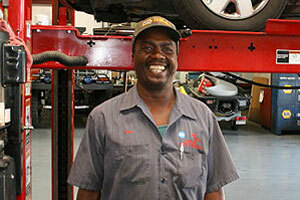 For over 25 years, Baker Auto Repair has provided quality, affordable auto service to its customers in Beaumont, TX. Auto repair services at our shop are sought out by customers in the surrounding areas of Lumberton, Port Arthur, Vidor, and Nederland because we are one of the largest, independent auto repair facilities in the area. As local residents, our team of ASE certified technicians is not only committed providing you with the best quality service, but is also dedicated to preserving and supporting the downtown revitalization in Beaumont. See what auto repair services and fleet repair service we have to offer!